We create added value by appreciating the needs of our customers – with competitive and innovative solutions. The needs of our employees – by adhering to our company values. The needs of our shareholders – with above-average returns. And the needs of our environment – by acting sustainable. 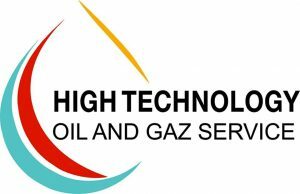 High Technology , Company, was founded in 2017 with the vision of making practical supply and service a reality in the Oil & Gas industry. High Technology is the top agent and distributor for a vast portfolio of prominent, internationally recognized manufacturers; as well as joint-venture-based Oil & Gas and Petrochemical service and technology providers. High Technology trading line of business includes the supply of upstream and downstream chemicals, mechanical and electrical products; test, measurement, and control instruments, as well as a diverse portfolio of production, transportation, and process equipment and materials. Gas Detection and Emergency Response Management (ERM) Services. Oil & Gas Drilling also provides instrumentation and maintenance services to Oil & Gas fields, Petrochemicals .